For my birthday, my friends Nicole and Jarred bought me this amazing working cupcake ferris wheel from the collection of designer Lisa T and it is so cute I simply had to share it with you! This carousel is an amazing idea if you want to host a circus themed, vintage sideshow themed or whimsical children’s party. 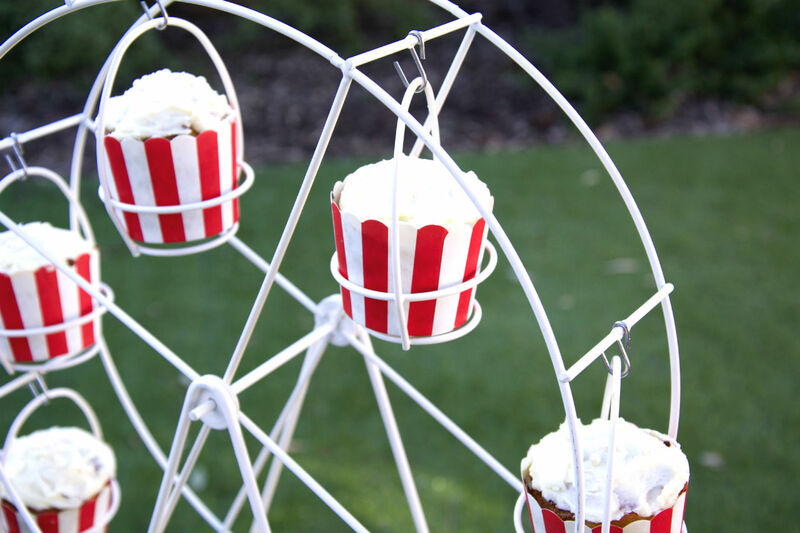 All you have to do is bake some cupcakes in appropriate cases and set the ferris wheel up as the centrepiece for your dessert table – simple, fabulous and perfect for your next party! Thanks Nicole and Jarred!